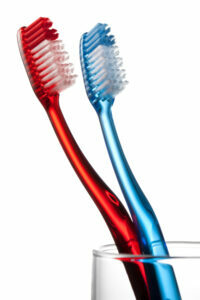 Keeping your teeth healthy now is a lot easier and less expensive than repairing major dental problems down the road. We offer the most current preventive care services to help ensure your health, prevent new cavities, preserve teeth that have been restored, and manage periodontal disease. Most important, your preventive care program will emphasize oral hygiene instructions and how the health of your mouth is correlated to other medical issues such as heart disease and diabetes. High blood pressure is a common problem that can lead to a number of health complications. We’ll check your blood pressure to make sure it’s in the normal range and, if needed, make recommendations for your physician to evaluate and treat it. We will carefully evaluate the TMJ to identify any problems and make recommendations for treatment. Depending on the nature of the problem, a custom night guard often is indicated in order to provide a cushion between the upper and lower teeth. This guard will help protect the teeth and relax the muscles. In other cases, we may discuss and recommend additional treatments such as physical therapy, orthodontics and bite adjustment. During every appointment, Dr. Gottlieb and your hygienist will conduct a thorough examination to check for tooth decay and early signs of potential dental decay problems. When possible, we use a revolutionary new way to detect even the smallest areas of tooth decay below the tooth surface. This tool, the DIAGNOdent, uses a tiny fluorescent probe to detect the hardness of a tooth. It is painless, harmless, and takes only a few minutes to scan your entire mouth. Healthy tooth structure exhibits little or no fluorescence, whereas decayed (carious) tooth structure will exhibit an elevated level of fluorescence on the digital read-out. If decay is found, it is treated as any other tooth with decay. There are a number of different types of oral cancers. As with any type of cancer, early detection can be a major benefit in treatment. Oral cancer can occur anywhere in your mouth, including the tongue, lips and other soft tissue. As part of our preventive care, we will visually and manually palpate for any abnormalities. In addition, we use a hand held detection device to supplement our oral cancer screenings. This machine is called VELscope and works by emitting a cone of blue light in your mouth. This light reacts with molecules in your cells and causes them to absorb the light energy and re-emit them as a fluorescent glow. Healthy tissue will give a green glow. Suspicious tissue has a loss of fluorescence and the tissue will appear darker. The VELscope machine is safe, simple to use, and there are no unpleasant rinses or stains. It takes only a few minutes to look at your entire mouth. This screening tool will allow us to then make a more informed decision. If Dr. Gottlieb is suspicious of an area, he will refer you to a surgeon for further evaluation or biopsy. Another way we are able to evaluate your teeth and gums is with an intraoral camera. With the use of a small camera placed inside your mouth, we are able to get an enlarged (40x) and detailed view of all tooth, gum and soft-tissue surfaces. This technology can detect problems that were not visible with the routine visual examination, and helps to ensure the complete oral health of our patients. Fluoride is a safe and effective mineral that plays an important role in preventing cavities and promoting remineralization of tooth enamel. It is found throughout nature, in water, soil, and food. In our office, we often use a topical fluoride varnish on the surface of your teeth to help protect them from decay. This technique is not restricted to only children. It also a valuable supplement for adults with decay problems. With the use of the safest state-of-the-art digital X-ray technology, we will review your teeth and hard bony structures to identify any problems that might lie beneath the surface of your teeth and gums. For new patients, we recommend a complete series of dental X-rays in order to detect problems at an early stage and prevent more serious problems. How often dental X-rays are taken depends on a patient’s individual health needs, risks, signs, symptoms, and problems. We always ask for your permission before taking any X-rays, and always provide a shielded apron and thyroid collar for your protection. Keeping your gums healthy is just as important as keeping your teeth healthy. Gum disease usually begins when harmful bacteria and toxins irritate the gums, often times making them bleed and/or become inflamed and tender. If left untreated, these infections can cause bone loss and loose teeth. We will carefully inspect your gums to check for signs of gum disease, such as pockets, bleeding, pus and areas of plaque and calculus formation. If signs of gum disease are detected, Dr. Gottlieb will discuss various treatment options. If your gum condition is severe, however, you may be referred to a periodontist, who is specialist in gum disease. Maintaining optimal oral health requires more than just visiting your dentist regularly; it means you must take daily care of your teeth at home, too. Our highly skilled hygiene staff will educate and teach you the best ways to care for your oral health at home.